Remember back in primary school, we would take out “shillings” to pay for our food during recess time and wait eagerly for our parents to dispense our pocket money at the start of the day or week? Wallets were a cool accessory then, and those rubber slinky hooks used to secure our wallets to our shorts/skirts ‘upped’ that cool factor. We’d then go home and empty our coins into our little piggy bank, breaking it when we really wanted to buy something our parents wouldn’t let us buy. Then, money-saving was made even more fun when POSB introduced savings accounts for children and their colourful passbooks were issued to us. It let us take ownership of our own money and got us excited about having our own savings account. Staying relevant to this generation’s needs, POSB upgraded all that ‘passbook and children’s savings account’ jazz and put it together in one smart watch for primary school children. 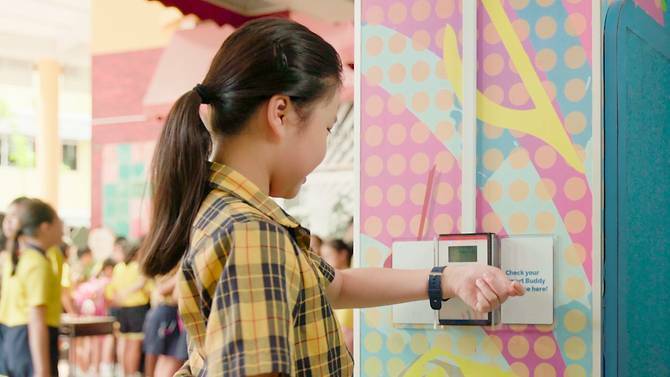 POSB officially launched today (16 August) their Smart Buddy programme which lets school-going children pay for everything in school just by scanning their smart watch on an e-payment terminal. 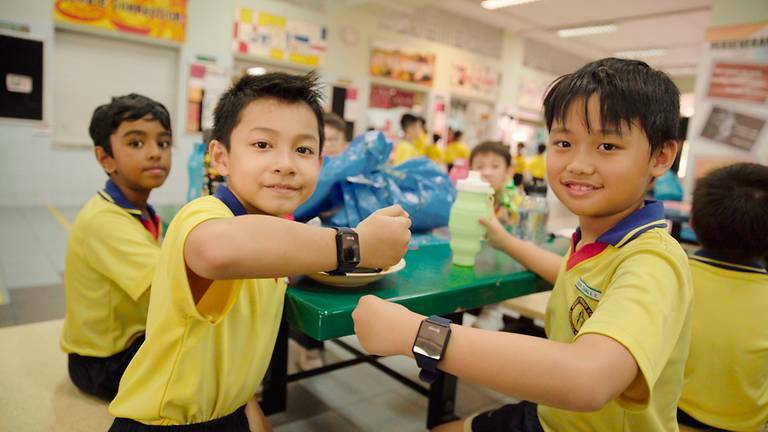 The smart watch, called the POSB Smart Buddy watch, can also be used on any NETS contactless terminals by participating merchants outside of the school campus. 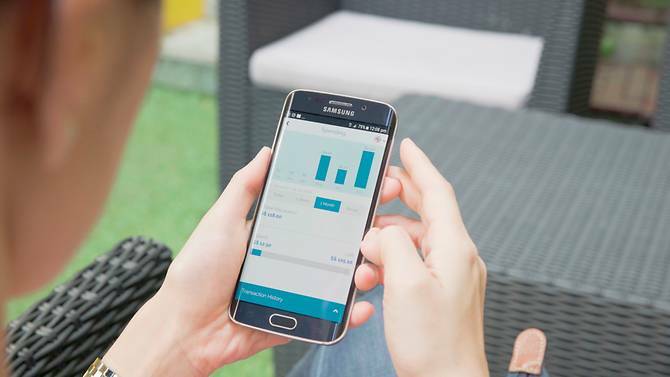 Parents can top up their child’s ePOSBKids account automatically, pre-set their child’s daily allowance, send them emergency money, and most importantly, keep track of their children’s activities – all within a mobile app. Children can use the watch to check the amount of money they have left at kiosks designated in their schools. The watch also tracks the activity level of the child. Other features such as an “in-school locator” and a “school bus locator” will be rolled out once they are ready. This makes it convenient for children to pay for their school supplies, their food in school, and even outside of school. It gamifies the saving money process with Digital Smiley Stamps. Parents can be in control of their children’s spending habits and can rest easy that their child has arrived safe and sound in school. They can also keep track of their child’s eating habits and ensure that they get enough exercise when they are not around. There are plans to implement a biometric payment solution on top of the existing functions. So far, there are 19 participating schools and 6,000 POSB Smart Buddy watches have been distributed in the past one year. If your child’s school is not listed, you can contact the school by emailing them. Here’s a list of school’s emails provided by POSB. What would be interesting is if the Smart Buddy watch can be extended to the rest of the population too, under the Smart Nation initiative. DBS/POSB have been the leaders in the technological advances in Singapore, introducing innovative ways to pay and in different aspects of our lives. What other tech developments are you looking forward to? Share with them with us!